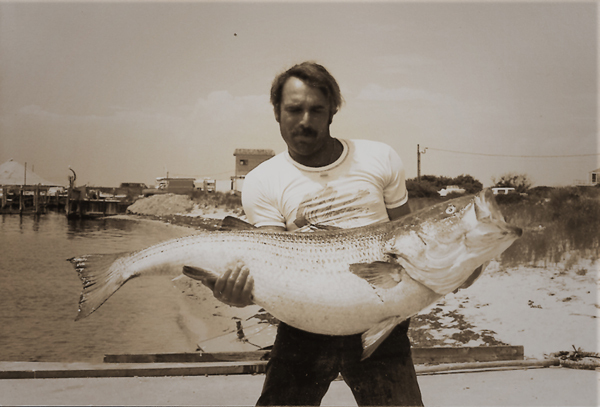 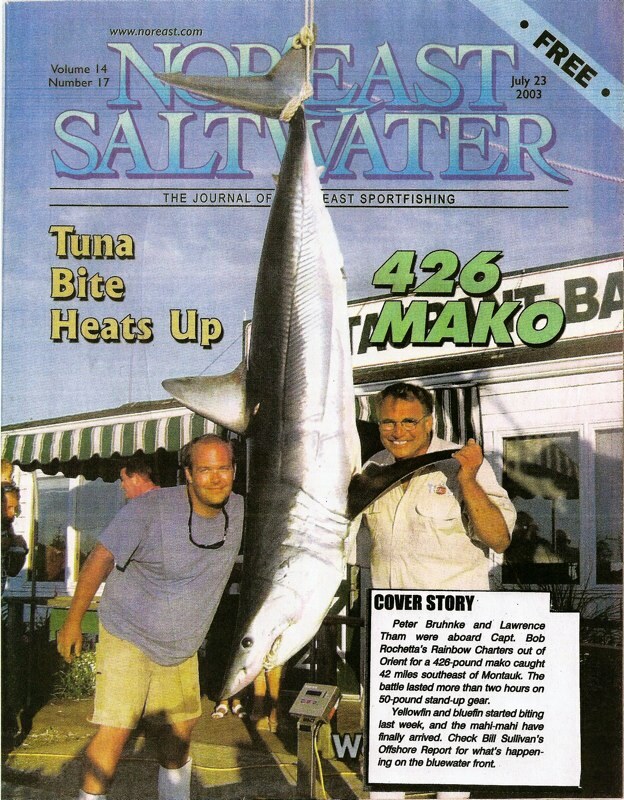 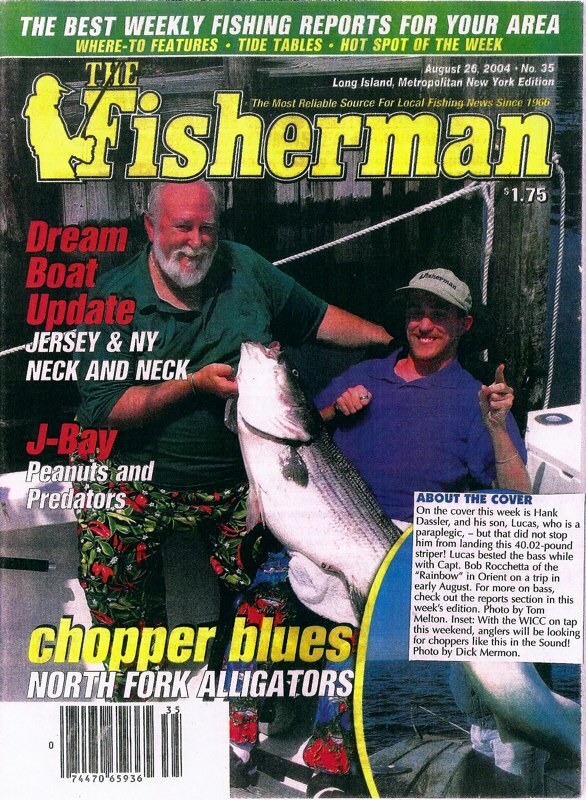 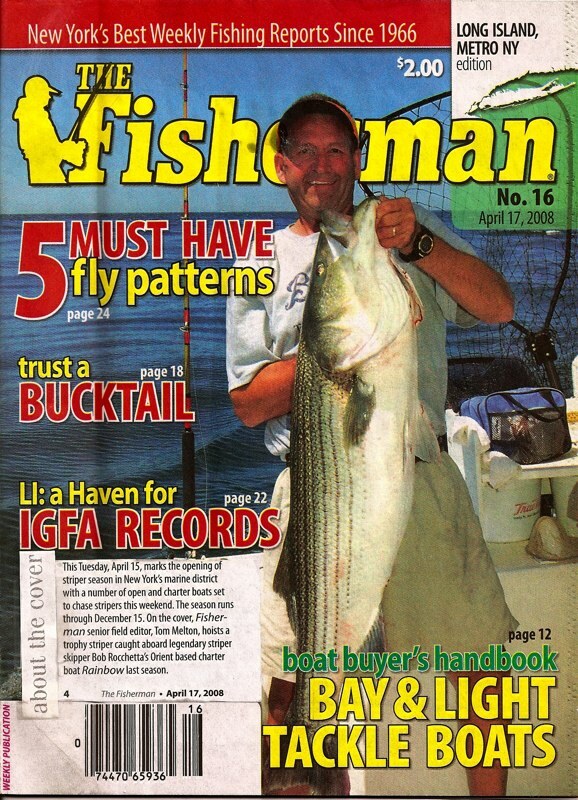 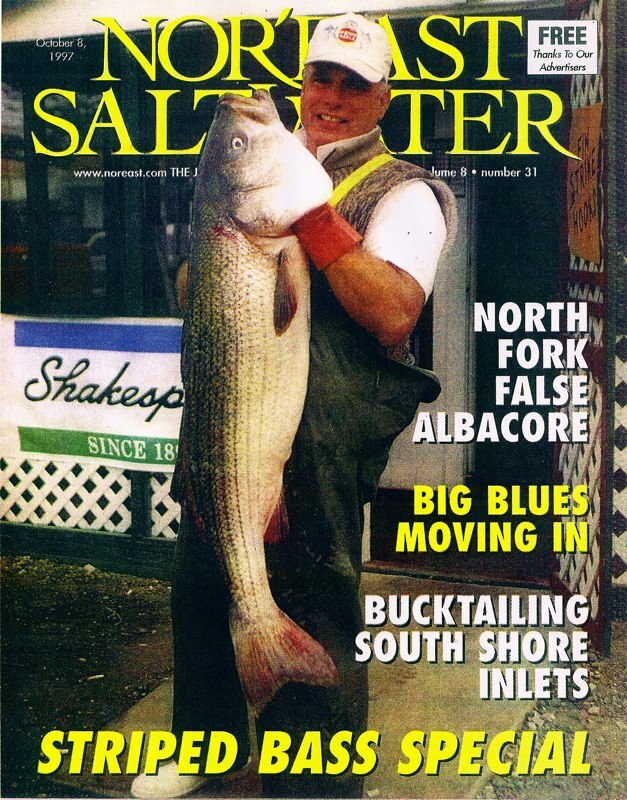 Archives & Accolades | RAINBOW CHARTERS, Inc.
Captain Bob with his 76 lb world record bass in 1981. 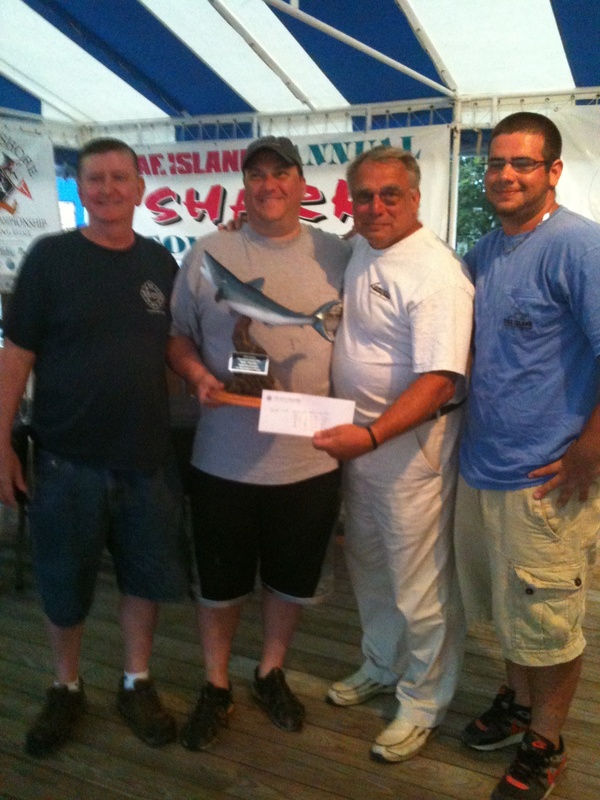 The Rainbow took 1st place in the 2011 Star Island Shark Tournament. 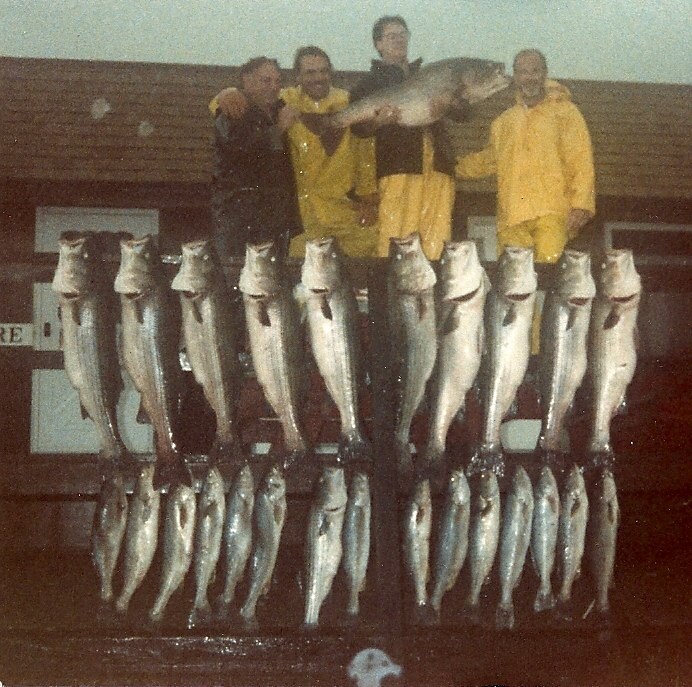 The proud anglers chartered the boat for the following year and celebrated another victory as the Calcutta Winners in 2012. 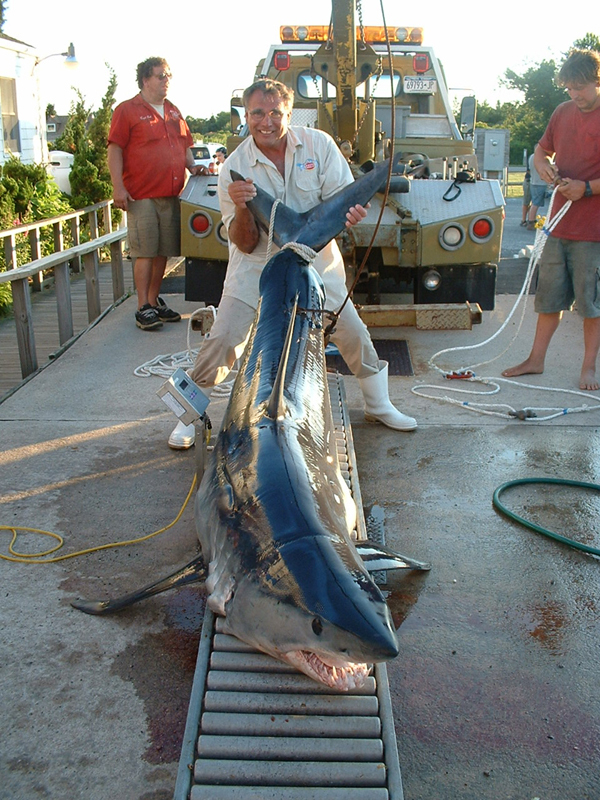 First time a shark of this size was ever brought into the Orient docks. 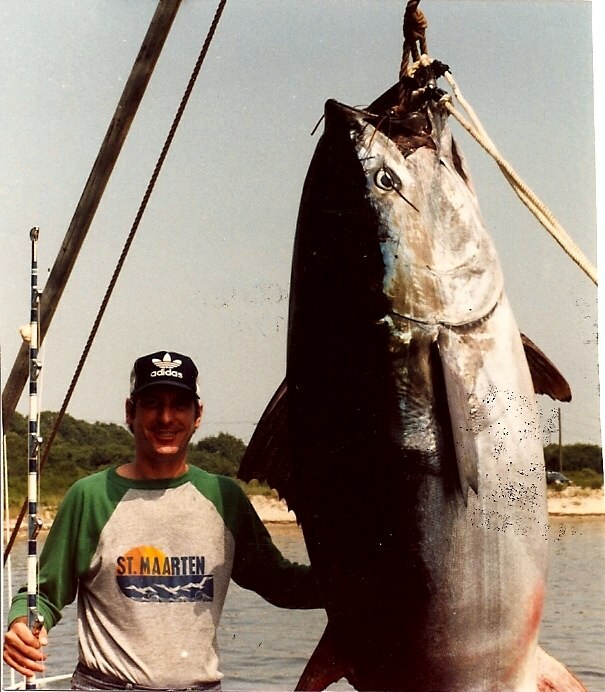 We had to get a crane to move it! 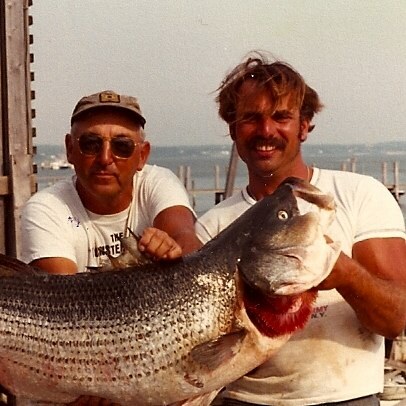 Before there was a limit! 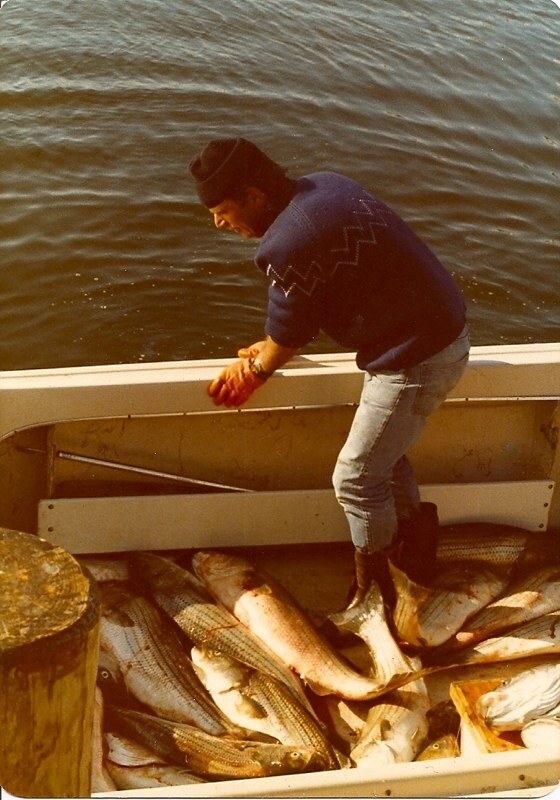 Captain Frank Mundus congratulating Captain Bob on his catch, 1981.